Printed or Plain mobile cover which can be printed as per customer's designs. 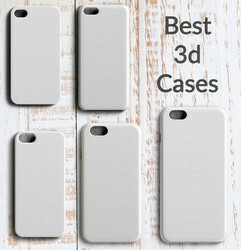 With sincerity and hard work, we are best in offering best in offering best quality collection of Sublimation 3D Mobile Back Cover that are available in beautiful looks. A tinge of love with the appealing designing and personalization on the phone cover will just be the perfect one to go with. An amazing personalized phone cover that you can go with, this is just the right one to be the magic. Keeping in mind the ever-evolving requirements of our clients, we are devoted towards manufacturing and wholesaling an optimum quality range of Personalized Mobile Cover. Maintaining our service standards, we have become leading supplier for Sublimation Phone Covers. Serving personalization Mobile Cover Industry with 2D and 3D Mobile Covers, we have become eminient supplier of Sublimatio Cases. Best Personalized Customized Mobile Cases Covers. 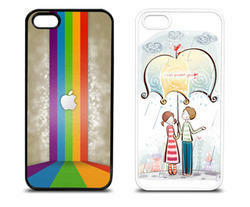 With keen promise to superiority, we are offering a wide and comprehensive variety of 2D Mobile Covers. Accessible with us in a number of stipulations, these presented covers are well-inspected prior final shipment. These personalised mobile covers are made of high quality fibre with glossy finish. Available for high end mobiles. To meet utmost satisfaction of the customers, we have offered 3D Sublimation Mobile Cover in the market in complete safe form and eye catchy patterns. Customers can easily avail this mobile cover from the market in various designs and color options. Additionally, we charge minimal price for this mobile cover.